In late 1953, when there were great battles nationwide, the Central Party decided to open the front of diplomatic struggle. on 17/12/1953, the Politburo held a meeting to find out the resolution of the negotiation policy. The Party believe that the diplomatic front was opened at the right time and in close coordination with the military operations .on the battlefield would be a wise strategy to gradually achieve the basic goal of the victory in future. From January 23rd to February 12th, 1954, a four-powerful-Party conference was carried out in Berlin. The agenda mainly discussed the issues of Europe. However, thanks to the initiative and tact Soviet Union, they finally came to the decision to open the Geneva Conference Geneva in late May 1954 to discuss the issues of North Korea and Indochina. China also attended this conference. By March 10th, 1954, when the possibility of negotiations had become a reality, the Central Party had the final decision .on the participations of the government delegation to attend the Geneva Convention. Comrade Pham Van Dong, the Deputy Prime Minister and Minister of Foreign Affairs were appointed to be the Head of the Delegation. The other key members of the delegation were: Comrade Ta Quang Buu, Comrade Tran Cong Tuong, Comrade Phan Anh. There was also an advisory body that was leaded by Comrade Ha Van Lau. The Geneva International Foreign Minister level Conference was officially opened .on April 26, 1954. The first phase discussed about the problems of North Korea and simultaneously solved the necessary procedures for the negotiation and the settlement of the war in Indochina. The debate .on the problems of North Korea came to a deadlock .on May 7th. .on the same day, the group of French bases at Dien Bien Phu was destroyed. .on May 8th, the Conference moved to the discussion about the issues of Indochina in a context that is extremely favorable for us. The Geneva International Conference about the issues of Indochina lasted from May 8th to July 20th, 1954. The final texts were signed at the Geneva Conference .on July 20th 1954. Subsequently, the international Committee to control and monitor the implementation of the Agreement was established with India (as the Chairman), Poland and Canada (the Commissioners). - Comrade Colonel Pham Hung, the Head of the delegation. - Comrade Lieutenant Colonel Nguyen Van Long, the Vice Head of the delegation. - Comrade Major Nguyen Hoang (Hai An), the Vice Head of the delegation. - Comrade General Pham Chung, director of the Office. - Comrade Nguyen Van Vinh, Clerk of the Office. - Comrade Nguyen An, Clerk of the Office. - Comrade Ho Vinh Thuan, Radio Transmitter. - Comrade Nguyen Van Khieu, Comrade Tong and Comrade Nghia, Drivers. - Comrade Mai Van Bo, Interpreter. (Then some comrades in the Union of Armistice groups were added). The mission of the delegation was to investigate the violations of the Geneva Agreement of the enemy like killing our comrades and our compatriots and prepared for the general election .on July 20th 1956. The delegation was located in 61interprovincial road 2 (this is the number of 87A Tran Ke Xuong, ward 7, Phu Nhuan District). This was the villa of a French officer (Lieutenant Colonel) that was built in 1930s. According to the Agreement, there was a French company of paratroopers to guard outside the headquarter to ensure the security for the delegation. However, the delegation was openly or surreptitiously sabotaged by the enemy many times. After the Geneva Agreement, the United States put out the outside diplomatic attitude and blatantly, hurriedly promoted the plan to replace France to turn South Vietnam, Laos and Cambodia to be the new military and colonial of the United States. In March, 1956, in the Karasi Conference of the Invasion group of the Southeast Asia, the United States and France compromised with each other that France would withdraw from South Vietnam before July, 1956. .on May 30th, 1956, the last unit of 300 thousand crusaders of France withdraw from our country and France would not take any responsibilities for the implementation of the Geneva Agreement. The US - Diem followed up the advantage to violate and sabotage against the military and the political terms of the Geneva Agreement and denied to protect our delegation, they even assigned the soldiers to freeze the office mentioned above. After the overthrow of Bao Dai, US - Diem increasingly tightly blocked the delegation. They obstructed, prevented the travel of the officials and the employees in the delegation, they gave some people of Bui Chu, Phat Diem that were bribed to knock out round the outside fence, scream, sabotage, use all tricks of: Threats, violence, bribery, wiretapping ... but all the plots of the enemy were failed. The delegation members were wary of the enemy and resolutely struggled and required the intervention of the International armistice control Committee as well as the representatives of the French Union Army. Besides, the delegation was also supported by the people living around. on May 21st 1958, after being instructed by the superiors, the Delegation retreated to the North, terminated the presence in Saigon. 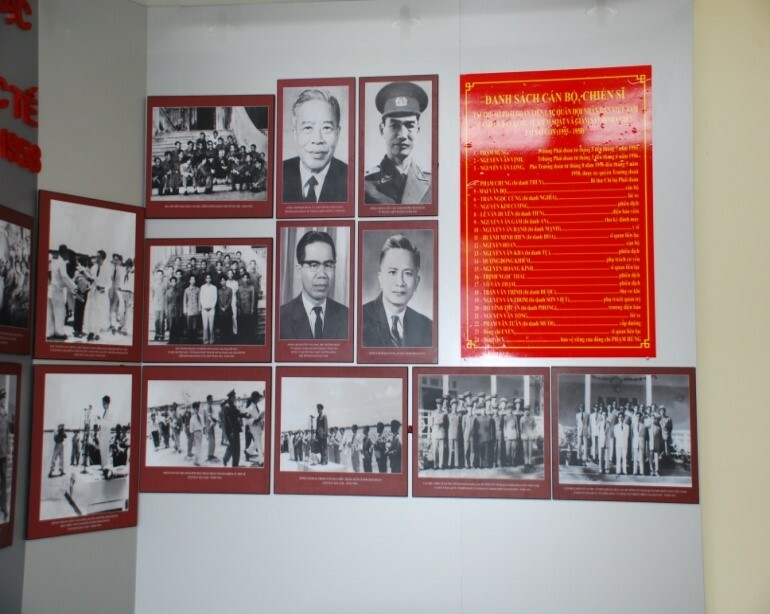 In 2008, the Historic memorial area of Cu Chi Tunnels started the restoration project of the headquarter of the Contact Delegation of the General Command of Vietnam People's Army, next to the International Committee for the armistice control in Saigon (1955 - 1958) that is located at 87A Tran Ke Xuong, ward 7, Phu Nhuan district. This place was recognized by the Ministry of Culture as the National historic monument under the decision number 1288-VH/QD .on 16/11/1988. .on December 22nd, 2011, the project was inaugurated and put into operation. 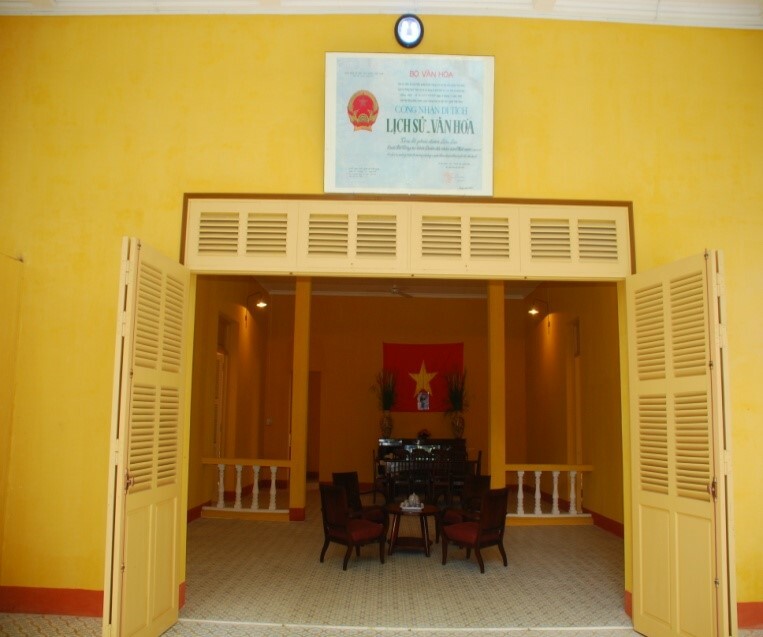 Along with other historical sites in the city, the restoration of the headquarter of the contact Delegation of the General Command of Vietnam People's Army has contributed into the education of the patriotic morale, revolutionary tradition for the young generations of Vietnam.